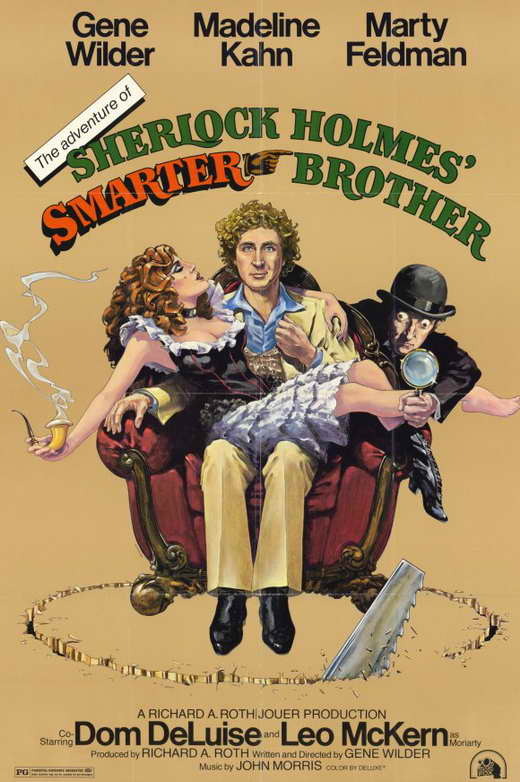 Gene Wilder wrote, directed and starred in the 1975 musical comedy The Adventure of Sherlock Holmes Smarter Brother. 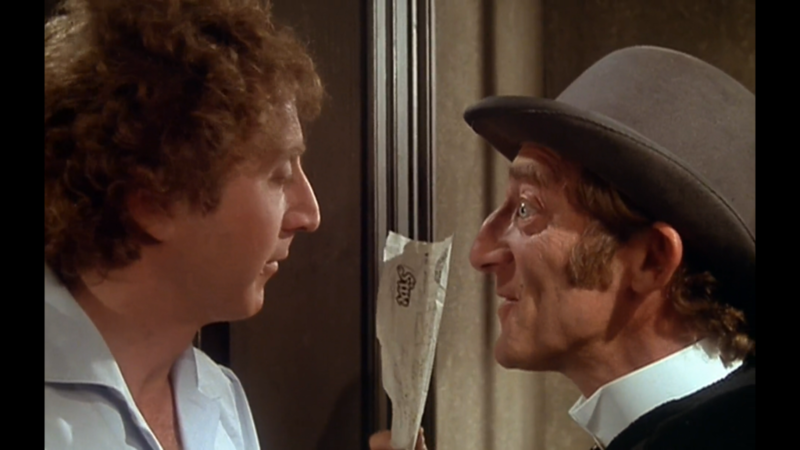 Wilder would portray Sigerson while being assisted by Marty Feldman’s character of Orville Sacker, a Scotland Yards record clerk with a “photographic” memory for hearing. They would investigate the problem brought to Sigerson by Jenny Hill, aka Bessie Bellwood, portrayed by Madeline Kahn. All three had worked together on the 1974 Mel Brooks film Young Frankenstein. The fifth scene of the movie had Sacker outside the flat of Sigerson’s to relay a request from Sherlock for Sigerson’s assistance. Sacker offers up a 5 pound banknote to Sigerson. The stolen document that Sigerson is looking for is in the hands of Eduardo Gambetti (portrayed by Dom Deluise). 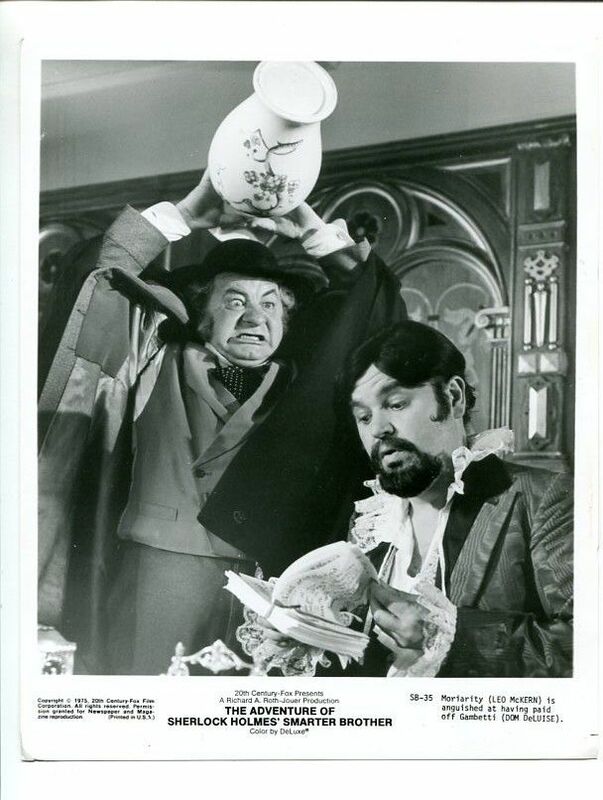 Gambettil agrees to sell the document for 50,000 pounds to Professor Moriarty (portrayed by Leo McKern). There is a major mistake with our next item. The movie opens with Queen Victoria giving a document to the Foreign Secretary, which is then stolen in the next scene. The movie then switches to the flat at 221b Baker Street, where Sherlock Holmes (portrayed by Douglas Wilmer, who had done the role before in the 1965 BBC television series) is conversing with Dr. Watson (portrayed by Thorley Walters in the 1962 film, Sherlock Holmes and the Deadly Necklace) about leaving London and going abroad to Paris for a few days. 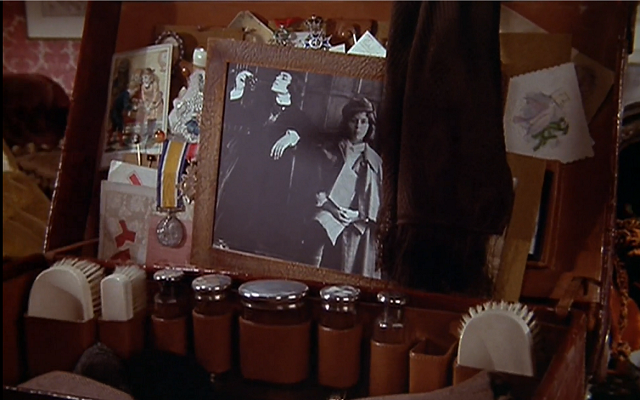 As the conversation takes place, the camera focuses on some of of Holmes’ personal effects and a photograph of the three Holmes brothers. If you look closely, you’ll see two medals to the left of the family picture. 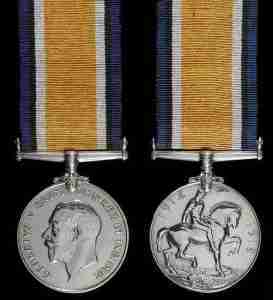 The two medals pictured are the British World War Victory Medal and the 1914 (or 1914-15) Star. Notice whose portrait is on the Victory Medal – George V, the grandson of Queen Victoria. Victoria had passed away in 1901, well before the 1914 start of World War I. The movie has held up over the 40 years since it was released. It looks even better now, when compared to the 2018 Holmes & Watson film starring Will Ferrell and John C. Reilly. Buster Keaton Finds A Silver Certificate in Sherlock Jr.